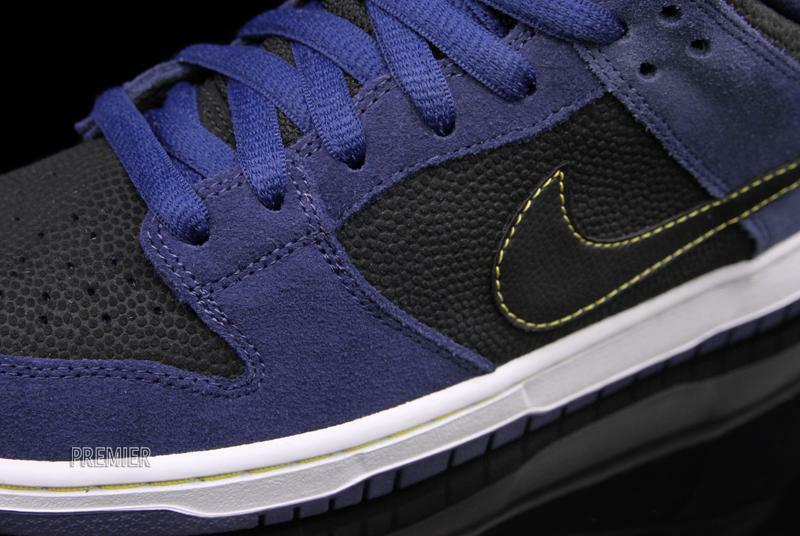 Nike presents a new offering of the Dunk Low Pro, featuring suede and dimpled leather in a Midnight Navy/Black colorway. 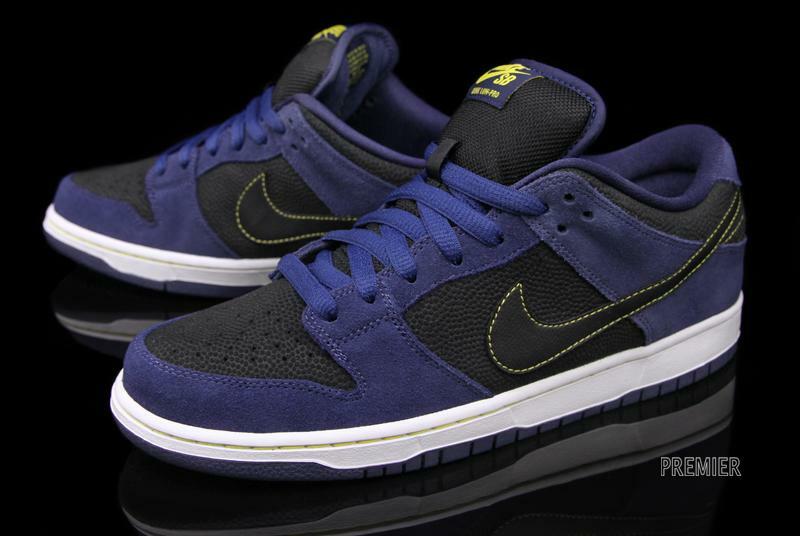 Nike presents a new offering of the Dunk Low Pro for early 2012, featured in Midnight Navy/Black. 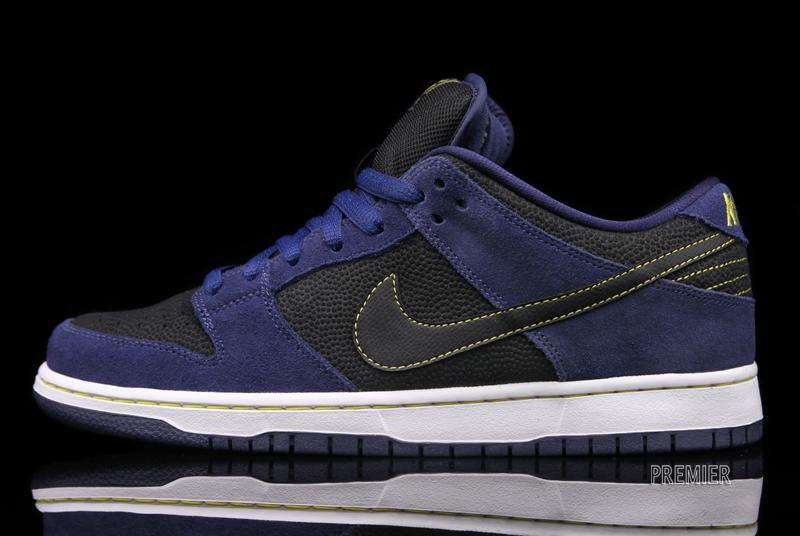 The sneaker uses suede and a dimpled leather on the upper, the latter of which resembles the pattern on a basketball. 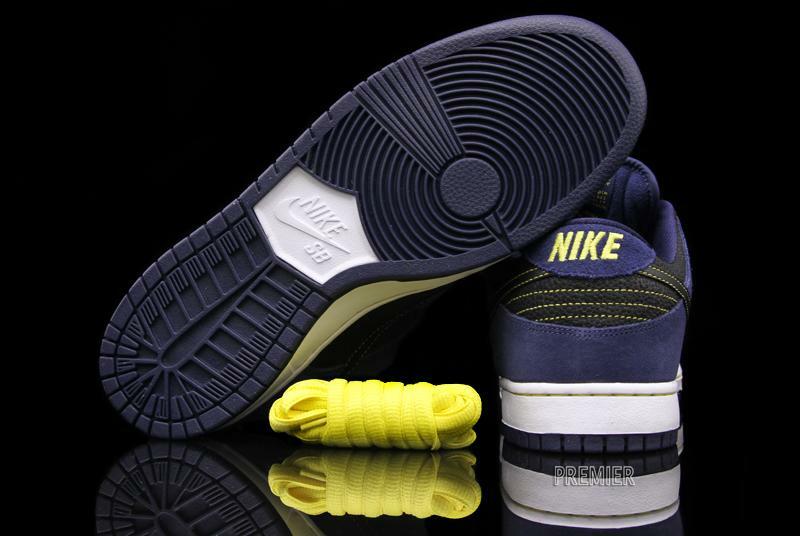 Yellow contrast stitching adds pop to this classic style shoe. 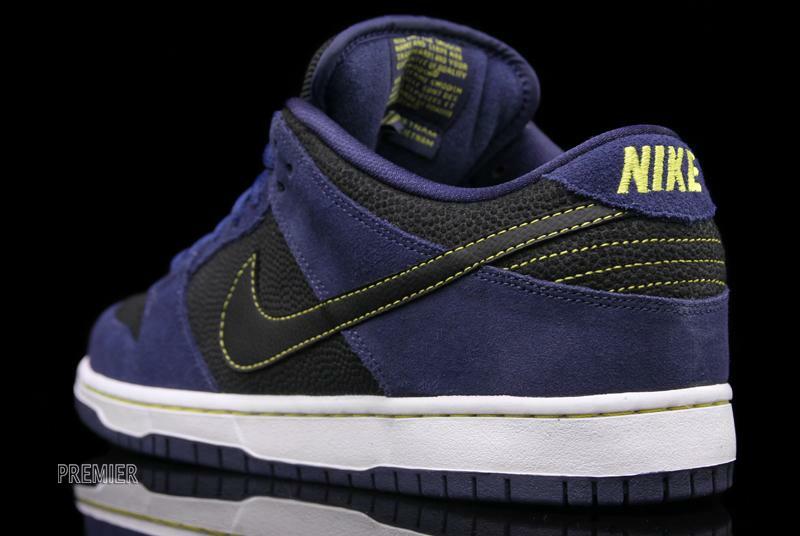 The Midnight Navy Nike Dunk Low Pro is available at select Nike dealers, including now online at Premier.